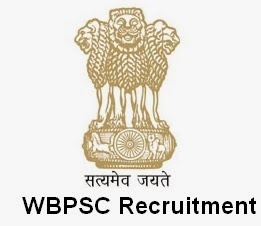 West Bengal Public Service Commission (WBPSC) has announced recruitment news for the posts of Post Graduate Assistant Teacher and various other posts. Candidates who are interested in this post may apply online between 28th October 2015 till 30th November 2015. For the post of Post Graduate Assistant Teacher candidate must possess PG Degree and Passed Madhyamik or Higher Secondary Examination or equivalent with English as first language. For the post of Inspector of Legal Metrology candidate must possess Graduate degree in Science (with Physics), Tech. Or Engineering OR must have Diploma in Engineering with 3 years of experience in Engineering or in Legal Metrology field. Should be proficient with Bengali/Nepali. For the post of Sub-Editor in Hindi candidate must possess Honours degree with 3 years of experience as Sub-Editor or journalist or experience in mass communication practitioner with journals and publicity material in print media. Fee: Fee of Rs. 160 to be paid online vie debit or credit card. Refer official notification for further information on examination fee. Procedure to apply: Candidates who are interested in this post may apply online at the link given below. Kindly take the print out of online job application for future reference.